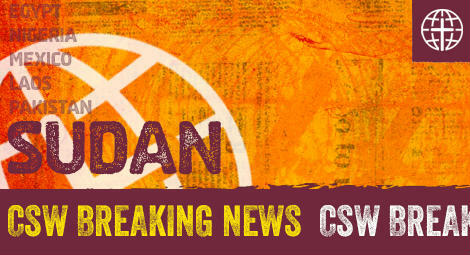 Christian Solidarity Worldwide (CSW) welcomes the renewal for one year of the mandate of the UN Independent Expert on Human Rights in Sudan on 29 September, but expresses concern over suggestions that it could be terminated. For the first time, the UN Human Rights Council (HRC) resolution renewing the mandate included a paragraph referring to a period of transition, after which Sudan would no longer be considered by the HRC, but by another UN mechanism. The resolution, which was adopted by consensus, welcomed the presidential pardons issued for Reverend Hassan Abdulraheem and Mr Abdulmonem Abdumawla and renowned human rights defender Dr Mudawi Ibrahim Adam. However, it failed to note their unjust trial and sentences and the misuse of the criminal justice system by the National Intelligence and Security Service (NISS) to prosecute human rights defenders, activists and increasingly religious leaders. During the interactive dialogue with the Independent Expert ahead of the renewal of his mandate, CSW delivered an oral statement highlighting violations of freedom of religion or belief committed by the government in Sudan, including the harassment of religious leaders, demolition of places of worship and interference with church affairs. In addition, Sudan’s legislation on apostasy contradicts its constitution and its regional and international human rights obligations. CSW also joined 22 civil society organisations in writing to the HRC ahead of the vote, calling for a strong resolution to support the Independent Expert’s work and to address the dire human rights situation in Sudan, including violations of international humanitarian law in South Kordofan, Blue Nile and Darfur.